The subject of finished projects came up. 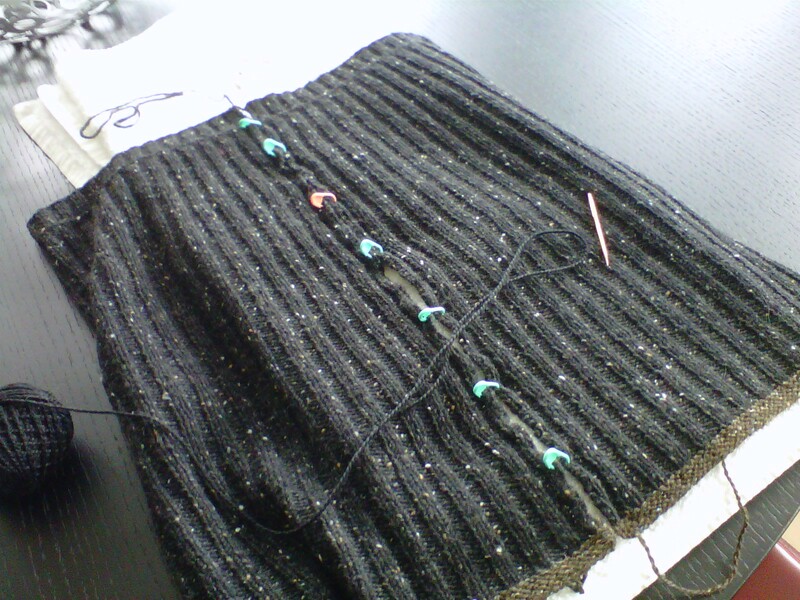 Many projects were “off the needles” but then had stalled. It is that “sewing them together” thing that was in the way of enjoying and wearing a beautiful finished project. So I asked how they normally assembled their projects. Needless to say, I now understand why it was so difficult for them. They were trying to sew them by holding them in their lap, pinning them together, then crocheting or mattress stitching in thin air! So all you struggling finish folks, let me help you simplify the process and get you back on track. First off, you need to sit at a table, you will need a couple of towels and be sure to block all your pieces before you begin. Why towels do you ask? 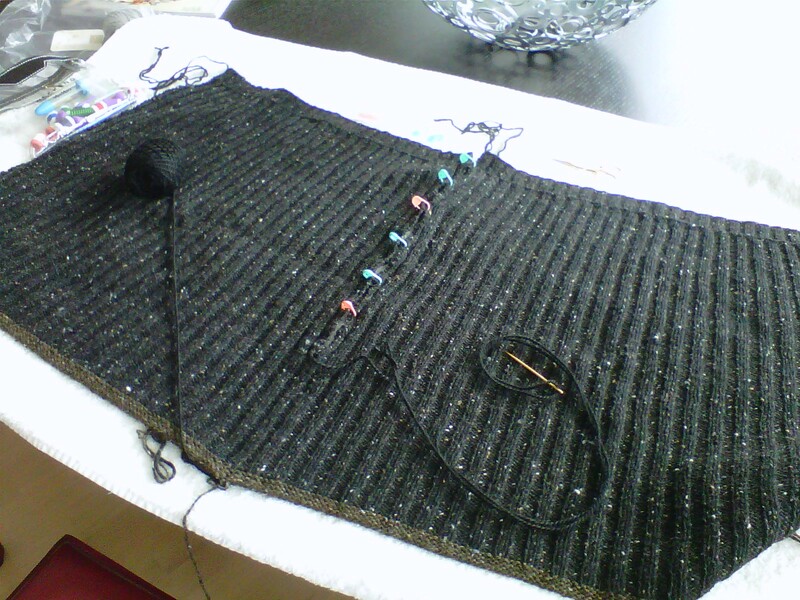 As you can see in the photo, I use the towel to create a bit of stickiness, it holds the piece’s neatly in place. You lay your pieces on the towel, aligning them to perfection, then pin them together and finally stitch your seams together. All while your pieces lay perfectly on the towel. As you move up the piece you can slide the towel toward you, or left or right, whatever is comfortable for you. The stickiness of the towel is holding you seam line in place. Easy, quick, you are in control. When I move to the sleeve, or in this photo a skirt, the towel is rolled in the center so it again will hold the seams in place, but also allows you to keep from picking up the reverse side of your garment. Again you can slide it around on the table, to have your stitching work in a comfortable location for you and nothing falls apart. 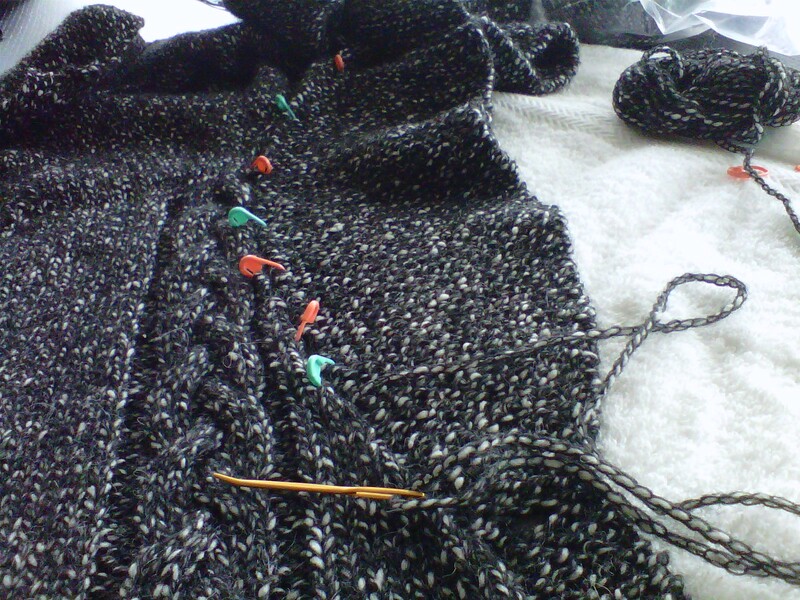 OK enough hints, pull out those sweaters, grab a towel and get stitching! I am racing you to the finish line…..